A leaked press render of an unannounced Nokia Lumia 729 model for Verizon has Windows Phone fans and Verizon customers talking on Saturday. Obviously a lower-range model than Big Red's Nokia Lumia 928, the back of the camera reveals that a PureView camera is aboard the device. With rumors spreading that the Finnish based OEM will start putting HD screens on its new mid-range models, this could turn out to be a priced very attractively at Big Red, especially considering that the Lumia 928 is $99.99 with a signed 2-year pact. 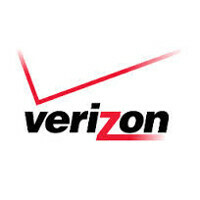 It could be that Verizon plans on replacing the Nokia Lumia 822 with the Nokia Lumia 729. Forgetting about numbers for a second, the latter could have an HD screen compared with the 480 x 800 resolution on the Lumia 822. Add that PureView camera and this could be a welcome addition for Verizon customers. why cant lumia 9xx, 8xx, 7xx, 6xx, and 5xx be released around the same time on each carrier? why does it have to be like 2 this year and 2 next year????? Its a Photoshop guys, it's a fake. Just because it's 'shopped doesn't make it fake. The front looks better than the back, which looks awkwardly combined, like the black strip around and below the camera doesn't meet up correctly with the black circle around the lens, the "NOKIA PureView" script doesn't match the angle of the phone, and the weird bottom looks like it juts out in an odd and un-Lumia manner. That said, I hope it's legit. Nokia/WP needs more market share and saturating the low- and mid-ranges is a great way to do that. I think they need to get a stronger naming scheme, I.e. all AT&T models end in 0, T-Mobile models end in 5 or 1 (one or the other, 1 is fine), and Verizon models end in 2 or 8 (one or the other); that leaves sprint with models ending in 4, perhaps. The first two digits already make sense, the third should as well. Photoshop indeed! That's a Sony Xperia T/TX with WP interface and Nokia branding! LOL. So basically a Lumia 920 on Verizon. No, because Verizon already has the Lumia 928. This is probably an indication that Nokia is letting it's higher end tech from the previous generation trickle down to the mid range for devices from here on out. I would classify this as lower than a 920, but with less compromises than previous mid range devices like the 720. Nokia make an android flagship or nobody is going to care... The entire windows phone market share is only 2%. I guess 2% care then... On a more serious note, if Nokia goes Android, WP may go down the drain. If WP goes down the drain, Android and iOS don't have to try as hard, so ALL consumers lose out. Competition is good. WP is not really competitive, so consumers won't lose much even if WP disappears. WP needs different strategy, and needs to get rid of those ugly tiles and replace it with something else. And why would Nokia be the victim in order to revive WP ? Stop it please .. Nokia must comeback soon and fire this idiot Flop. Nokia wasn't a victim -- they made a strategic decision. They had the choice to be another OEM, even potentially a solid one for Android, but there are many competitors there. They rightly predicted that one OEM, Samsung, would come out on top and become synonymous with Android. If you haven't noticed. Pretty much every Android OEM outside of Samsung is really having a tough time to make money. Instead of trying to go up against Samsung's vast R&D, Development, and Marketing resources, they decided to try to be the OEM synonymous with Windows Phone. By successfully doing so, they have tied their fate to WP, win or lose. But if Microsoft's WP does win, Nokia will BIG because they are going to that OEM that is in position to take up all of that market share. Companies can't be so short sighted. Positioning yourself in an industry is a crucial long-term play that most people don't have the foresight to make. lol its the Xperia TX with windows phone! Looks like Xperia design language i recon --"
This phone looks fake to me, look at the three capacitive buttons at the bottom, they aren't at the same angle as the phone itself .... But we will see maybe i'm wrong ... But still weird that a 7xx series will get Pureview technology instead of the 8xx series .... Best regards! I'm not even sure they're at the same angle. :-/ Although I guess the article can be quoted as saying "...press render..." Off the hook, for now. the windows 8 smart phones now overall has a 6 percent market share and it growing. in some countries the market share is higher than that. The GDR3 updates will allow Windows 8 smartphones to use all the high tech components that Apple and Android smartphones use. later this year the Quad core CPU, 1080P 5 to 6 inch screen Windows 8 smart phones are reported to be coming out.The windows phone 8 Blue updates will add more software updates to the Windows 8 smart phones such as VPN for the Enterprise, better multitasking, a notification center. ECT Folks Windows 8 smart phones are defiantly getting better. People are starting to buy them.